Salima is a serial entrepreneur having launched one business and successfully sold it, she founded Luxury Designers Club in 2018. She felt the need to support emerging luxury brands through pop-ups in five star hotels and Private Members Clubs in London. With her eye for unique emerging luxury brands, she personally hand-picks luxury designers in fashion, jewellery and accessories to join her luxury pop-ups. 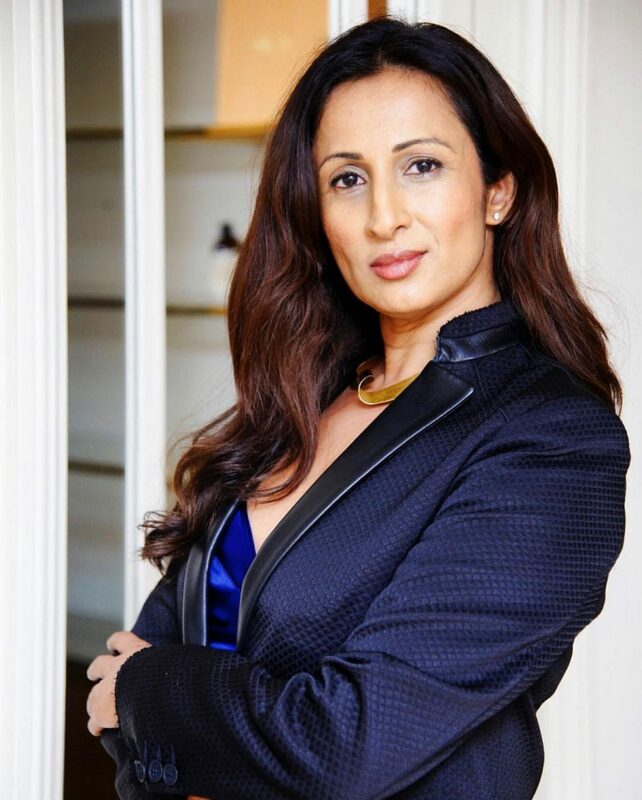 My name is Salima Manji, I’m a mother to two teenagers and a busy entrepreneur. Although I qualified as a chartered account and worked in Banking for around 6 years, I longed to work for myself. So, I quit the City in 2008 to set up Asian Dinner Club, a Dinner/Dating Company for single Indians and Pakistanis looking for a more sophisticated way to meet than online, through intimate dinners and drinks evenings in Knightsbridge and Mayfair. After 5 successful years and lots of marriages (not mine but theirs!!) I sold the business. My latest venture is, Luxury Designers Club, a luxury pop-up shopping event service discovering new fashion, jewellery and accessories designers and showcasing their collections to the public. My children inspire me. Being a mother is the greatest gift and I’m blessed. Working as my own boss allows me to fit my work around my children. What is the book you’ve given most as a gift, and why? I love The Secret by Rhonda Byrne and often gift it. It’s about manifestation and visualising. Acting as though you already have what you desire. It’s incredible. Also, the practice of gratitude. I love heels. I find my posture and confidence is affected greatly by a gorgeous pair of shoes! But as a busy mum on the run between meetings and errands whilst children are at school, my best purchase was a pair of flat shoes from Geox. Super comfortable, looks stylish and a quick change into my heels before a meeting and I’m ready! Hmm…I’m not keen on the word “failure” but as an entrepreneur I’ve had a few setbacks for sure. Choosing a super-quiet yet elegant restaurant for one of my singles dinner parties was not ideal. You need a buzz in a room, background music, so two people can converse in almost privacy without being heard much by others. Other “failures” include being late to my event due to traffic…I now never drive to important events as Uber is great and I don’t have to worry about parking! London is a nightmare for parking. In the last year I’ve been waking up an hour earlier every day. At 6am. That extra hour has been crucial to me achieving much more that I did before. I spend a few minutes with thoughts of gratitude. I then visualise the day I want, the meetings I have planned and act as though they’ve already happened and how successfully they went. I’m then really quite excited for the day ahead and yes, the meetings are successful! My advice is to make a great first impression with everyone you meet. From the senior employees to the reception staff and doorman. * Be kind and courteous to all you meet. * People remember how you make them feel. Wrong. Your social media footprint is exactly what all employers check before hiring you. Be super careful about the images you post, the captions, etc…your online profile is your personal brand and a company wants to know if your brand first with theirs. When I go to exclusive restaurants in London (Hakkasan, Nobu, La Petite Maison) I try and recreate some of my favourite dishes. I love cooking and spoiling my loved ones with great food. After my divorce, being a single mum to two small children at the time, initially I felt overwhelmed. But I built up a great group of friends and set up a business I felt passionate about to focus my mind on that rather than personal challenges. Slowly, as the business became more successful, I’ve become confident and happy which in turn makes our family life a joy. I’m blessed and forever grateful. I’ve been blessed to meet a few successful Asian Women in Business and surrounding myself with these ladies makes me feel nothing is impossible. I’ve always believed that “your tribe affects your vibe” so I’m conscious of who I surround myself. Keep a positive group of friends around you. People who lift you and encourage you to be the best version of yourself.